The Novelist asks one central question: can you achieve your dreams without pushing away the people you love? 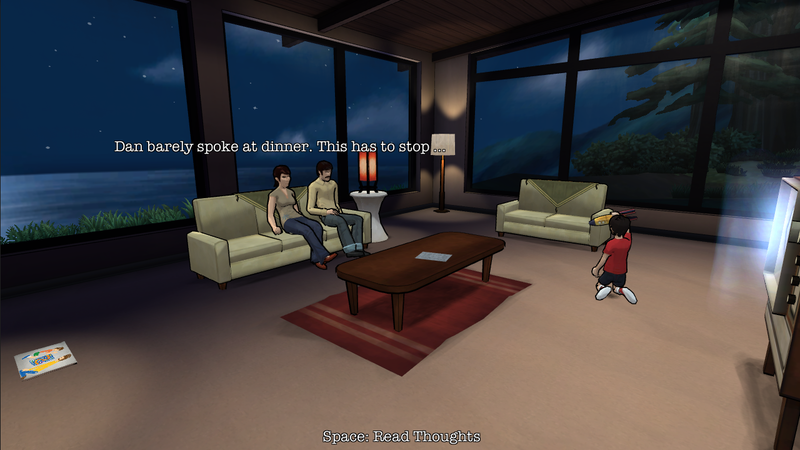 The game focuses on Dan Kaplan, a novelist struggling to write the most important book of his career while trying to be the best husband and father he can be. The Kaplans have come to a remote coastal home for the summer, unaware that they're sharing the house with a mysterious ghostly presence: you. Read the family's thoughts. Explore their memories. Uncover their desires and intervene in their lives. But stay out of sight; you can't help the Kaplans if they know there's a ghost in the house. It's up to you to decide how Dan's career and family life will evolve, but choose carefully; there are no easy answers, and every choice has a cost. Dan's relationships - to his work, his wife, and his son - react and shift in response to your choices. With a different sequence of events in every playthrough, The Novelist gives life to a unique experience each time you play. The decisions you make will define the Kaplans' lives, but they may also tell you something about yourself. After more than a decade working on AAA games like Deus Ex: Invisible War and BioShock 2, Kent Hudson grew creatively restless. So in October 2011, without a specific game idea or a plan beyond trying to make something he believed in, he quit his job and started working on a game in his apartment. The Novelist is the result of his foray into independent development. Its roots can be found in his GDC 2011 lecture entitled Player-Driven Stories: How Do We Get There?, an argument for new ways of giving players authorship in game narratives. The desire for relatable, universal subject matter led to its focus on a single family. During its development, the concept began to hit closer and closer to home; as months passed and the challenges of independent development made themselves known, Kent faced scenarios eerily similar to those he was creating in the game. Can a person follow their dreams while remaining connected to those they love? There are no statements here, only questions. The answers are always personal, and ultimately yours to decide. A dynamic narrative, with character relationships and story developments that react to the player's decisions. The ability to read the characters' innermost thoughts, explore their memories, and learn about their lives. 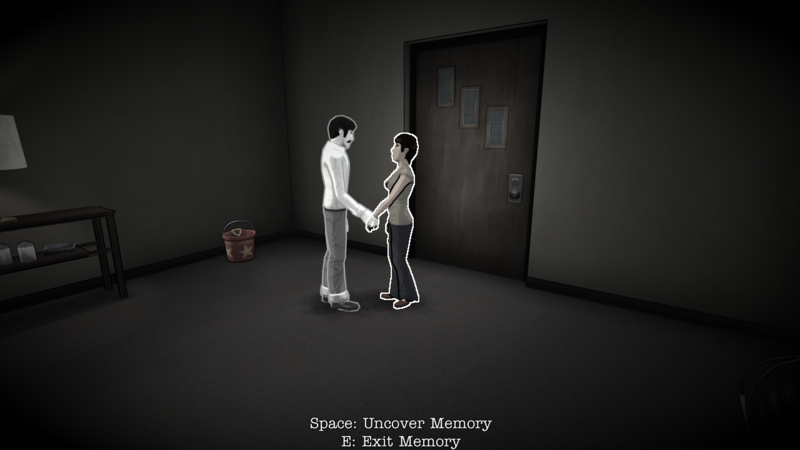 Tense first-person stealth gameplay, as the player tries to remain undetected while shaping Dan Kaplan's life. An atmospheric, procedurally-generated piano score that's different with every playthrough. "There is a lot more that can be said about The Novelist, so many more questions it raises. But at my core I want to encourage people to have these experiences for themselves, ask themselves the questions, and discover something about themselves." "It successfully serves as a wonderful little interactive narrative to pass a few hours with full immersion. The Novelist is not for everyone; you have to really enjoy *feeling*, and in today’s day and age, we’re used to being bombarded with things to distract us from such. As gamers, we’re guilty of this escapism, but you have to wonder how it ended up coming full circle and now we’re playing a game about all the things we’re trying to forget." "As a piece of interactive media though The Novelist is thought- provoking and explores a space rarely touched on in games." "I came out of The Novelist emotionally affected and feeling seriously invested in the future of this family, particularly young Tommy. When it comes down to it, I really just hope he turns out okay." "I would love to see other games take this approach to their story, whether they are telling something more grounded, like The Novelist, or more fantastic in setting and tone. It’s a new attempt at conveying a relatable, focused narrative and, even if the results are uneven, it’s undoubtedly a compelling way to handle it." "The game faces a series of difficult and sometimes uncomfortable decisions, and it addresses the all too real issues many of us deal with on a day-to-day basis; issues that burrow themselves into the backs of our minds during the day or keep us up at night. It wants us to consider how we balance selflessness and selfishness, and how and why we prioritize certain things over others." "It’s precisely this focus on real-life challenges — a narrative that struck me as pretty unconventional for the gaming world — that I found so appealing. I don’t write books for a living, but I can certainly relate to the struggle to balance professional demands with family responsibilities and other commitments. 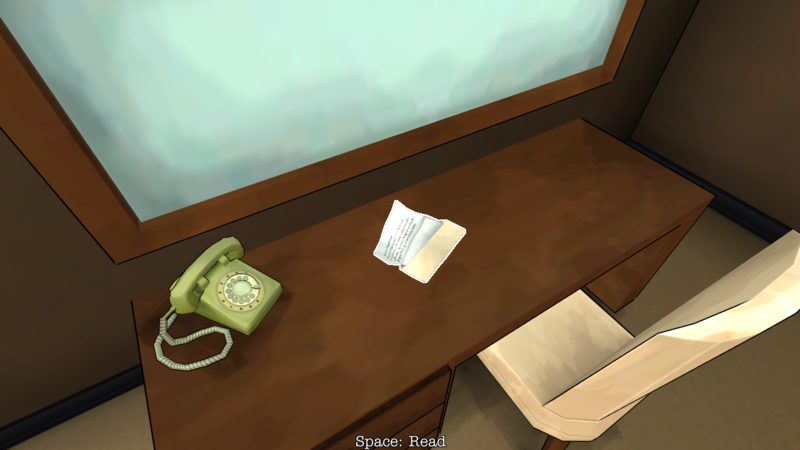 With its very human drama, The Novelist is the first game to interest me enough to actually try playing." "It’s a much quieter affair than other narrative-based games, but there’s still a palpable tension whenever you step foot into the Kaplan’s realm, and it only increases with every decision you make. With so much replay value to be had as well, The Novelist is a must buy for fans of narrative-based games. " "The choices you make carry a deeply introspective quality to them. It’s easy to imagine yourself in a situation where you have to choose between your family and your dreams, as for many people it’s a plausible scenario. This essentially turns each decision you make a reflection of your priorities, giving them extra weight and impact, especially as you grow invested in the family. Giving choice actual weight in games is tough, but The Novelist succeeds in doing so." "This is a strikingly profound, potentially portent, mirror of the player’s own life. The game isn’t about the characters, it’s about the player. The title doesn’t refer to Dan." "The result is a game that truly captures the emotional ups and downs of finding balance in one's life, whether it's between work and family or even between one's spouse and one's child. 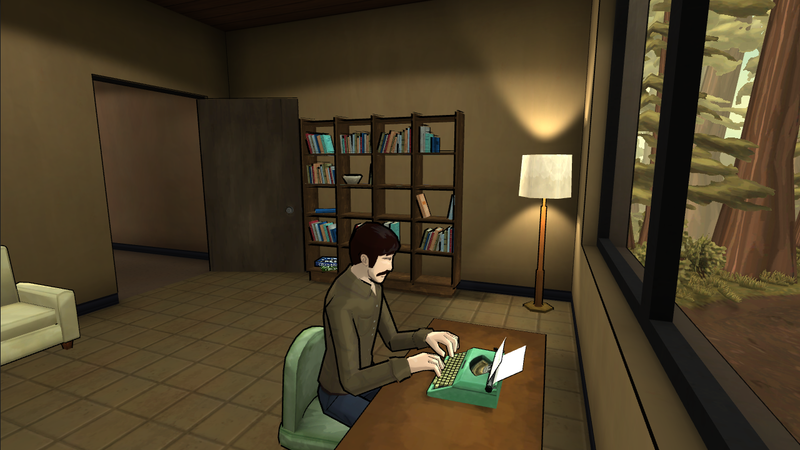 For gamers who enjoy piecing together an emotional story, "The Novelist" is one of 2013's must-buys." "The Novelist is a remarkable look into the everyday life of a middle class American family, even if they are a fictional one. It is a game about small every day victories and devastating failures. However you plan and play, the story will change, just like life itself. Everything in the game was crafted with love"
"I think everyone comes to a point in their lives when they have to make decisions similar to Dan’s in The Novelist. That is why this game is so moving and it easily makes you think over your real-life choices." "The Novelist is a wonderful game. It takes stealth, and allows you to help and nourish, instead of assassinating and killing. The story is heartwarming, and you can't help but get caught up with the family and their dilemma. It can get very emotional. You'll find yourself getting drawn into their lives, and wanting to help solve their individual sorrows." "Indie Game of the Year - But for sheer bravery and as an experience which sticks in the mind long after the credits have rolled, The Novelist stands head and shoulders above all others. Well-written and genuinely moving, The Novelist is well worth the time of any gamer looking for something more than yet another chance to shoot things with big guns." "If you are looking for a thought-provoking game that interacts with the player's emotions - you can not find any better. Definitely one of the most interesting independent titles. (Polish Translation)"
"At the end of my first play-through of The Novelist, I put aside my laptop and just sat in silence, trying to take in what I’d experienced. Then I cried. 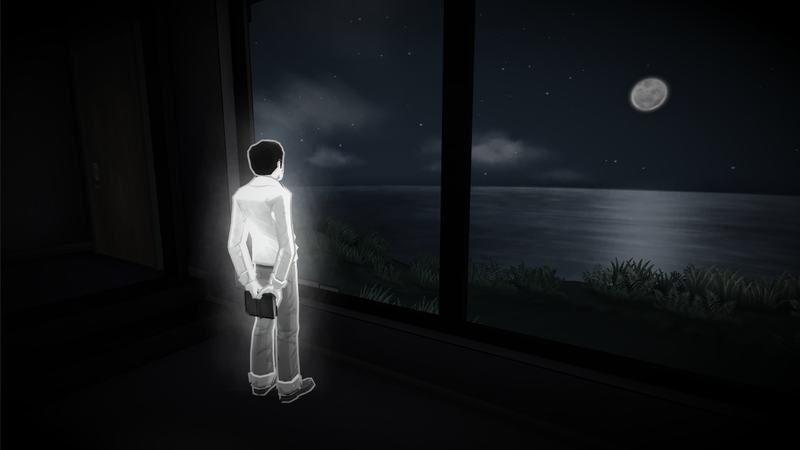 Quite possibly the most moving and deeply affecting experience that I’ve come across in a very long time, Orthogonal Games should be applauded for managing to create something which speaks to the player on a very personal, human level." "The Novelist might not be the most typical game this year but it receives a recommendation because of its emotional punches which never miss an opportunity to make the player react. That portrayal of human honesty and vulnerability places it among the best of this year’s storytelling in video games." 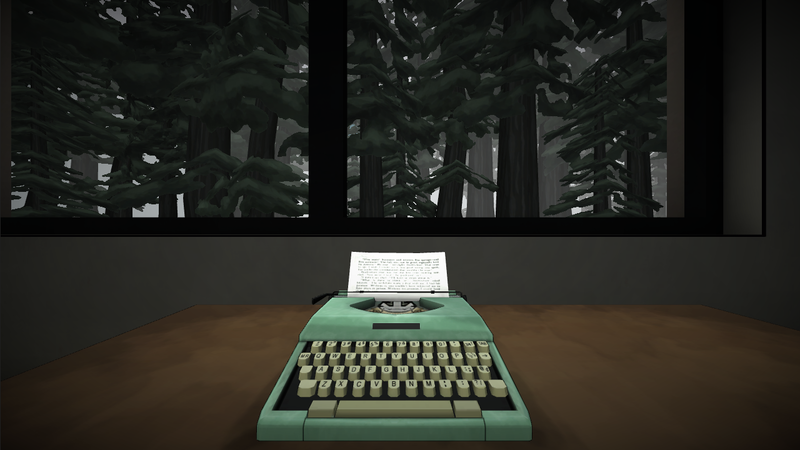 "The Novelist is a great addition to the shelf beside Papers, Please, Gone Home, and To the Moon , reminding us how games may be, finally, much more than mere entertainment. (Italian Translation)"
"Without question, Kent Hudson has created one of the most remarkable experiences in gaming." "This is a game that will make you think about the decisions you make and how they affect your own life, and it is a game that will leave an indelible mark on your emotions even after you complete it. It's one of the best games released in 2013." "The game succeeds in delivering a truly heartfelt narrative, a feat hard to find in a market saturated with AAA blockbusters." "It's definitely an experience worth having." "There are some moments where the acting, combined with the nuanced script, evoked more emotion than any other game this year, and that’s something to admire." "The writing is top notch and no matter what path you choose to take, the impact of your choices will be felt by the time the credits roll." "One can’t deny the lasting effect [The Novelist] leaves on the player. 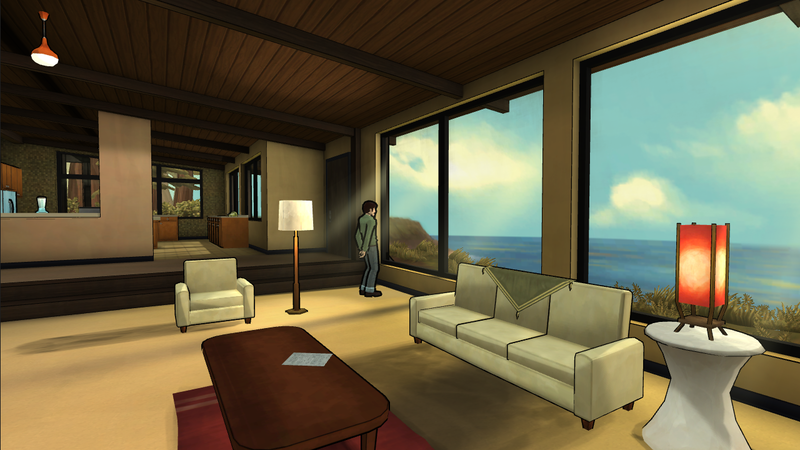 As the Kaplan’s summer vacation draws to a close, the player is left wanting to re-examine their own life and what is important to them, at the very least. That’s not a feeling one gets with just any game, and for that The Novelist should be commended." "A quite remarkable simulation of family life." "This isn’t just a game, it’s an incredible narrative experience that can lift your spirits or break your heart." "As I crept around the house, I was keenly aware that I was not searching for an answer to the Kaplans’ worries, but to my own. This game held up a mirror to my most prevalent anxieties. I am still unsure if it was cathartic or uncomfortable. Whatever it was, it’s going to stick with me for a long time." "It's beautiful, a tour of emotional force, a call to think of our own decisions and mistakes, a masterclass in empathy and maturity. (Spanish Translation)"
"It’s the stark, realistic depiction of a family that makes it innately relateable for many. It affected me and made me think, which is more than can be said for almost any other game released this year." "Empathizing with a game is odd, but it is where this one shines brightest. The Novelist stirs up feelings." "Any experience that forms this kind of connection with the player is worth your consideration." "Not only is it enjoyable, it’s interesting, deep and creative." "Anyone who is willing to listen can learn something about themselves in the anguished The Novelist - a complex portrayal of the complicated puzzle of life. (Swedish translation)"
"The Novelist is a wonderfully emotional, soul-enriching experience. Hudson might not have been a household name before, but he deserves to be for The Novelist. " "The Novelist is a very unique experience, and I think that it’ll fit very well into Steam libraries around the world." "The Novelist affected me, deeply and painfully ... I frequently cried at the outcomes of the decisions I made for the Kaplan family." "The end result is a game with refreshingly frank and honest writing"
"The Novelist is the most personal and beautiful game I have ever experienced. The creator, Kent Hudson, has quite plainly poured his heart and soul into this game, and the outcome is genuinely something to behold. Never before have I felt so emotionally involved in the characters, their situation and potential future, as in this truly player-driven story." "The game does an excellent job of making the player feel as though each choice will affect an entire life. 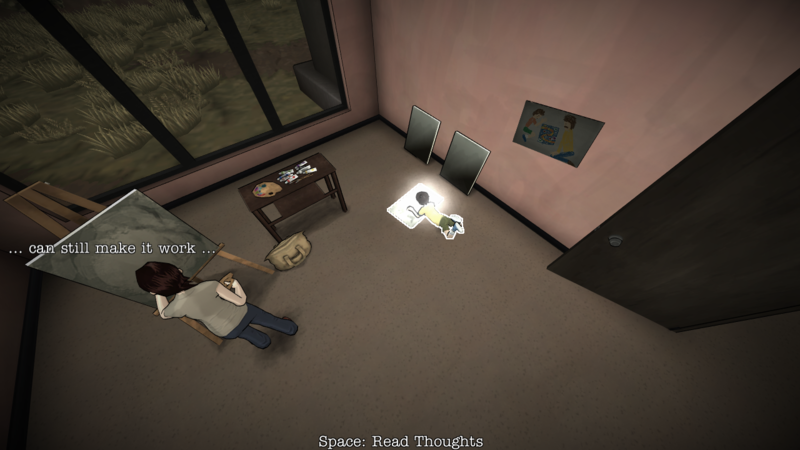 If you like story-driven or experimental games, you won't want to miss The Novelist." "The Novelist was an excellent story, easy to immerse yourself in. I highly recommend it for anyone that plays games for the story." "Well-written, compelling, and often emotionally difficult. That’s The Novelist." "While it arrives on the heels of other notable non-combat, story-based games, it still manages to feel fresh and emotionally resonant. This is thanks to sincere, realistic writing and an inspired approach to player choice, which has you picking sides and making difficult compromises in the context of family conflicts." "An engrossing and moving experience"
"The Novelist is a short experience, but I recommend multiple playthroughs to truly experience every decision's alternate route. You will be surprised how one simple decision can alter someone’s life forever." "Right after you are done with it (it is a fairly short endeavor after all), you want to play it again, make some completely different choices and see where that gets the family." "I found myself truly invested in the results of the decisions I made, a sinking feeling setting in when someone’s dreams were deferred for what I felt was the better long-term choice. When I finished the game, the narrative played out in a way that I was honestly happy and relived to see; though it was just a story told with words on my monitor, reading about the happiness and love that Dan and Linda found, the success that Tommy had later in his life – it moved me." "Hudson has successfully created a game that players won’t easily forget – with its loud lesson of seeing the big picture, every player will surely remember The Novelist when they are next faced with a difficult life moment." "Definitely one of the best narrative games of the year." "A gripping game that causes you to reflect on the often-competing forces that are at play in our real-world relationships." "This lends each play through to be unique and say something different about not only family relationships, but how we weigh our own decisions in these kinds of situations." "The Novelist turns conventional gaming on its head by putting the pen in your hand, letting you create the story. Getting to know each character is intriguing as you discover more than just their immediate desires. Family life is about compromise, and The Novelist captures this brilliantly as you navigate the delicate balance of happiness and disappointment. Giving players an outsiders perspective is a touch of genius, creating a game where everyone will have a different experience depending on their own lives, and who they identify with." "The Novelist reminded me that while I sometimes play videogames to escape reality, the most meaningful game experiences I’ve had confront me with reality in a meaningful way. The result is a surprisingly powerful game that asks us to consider what we prioritize in the tension between our dreams and our families." "For better or worse, the Kaplan’s future was the one I had earned through the decisions I’d made. It was a wonderful feeling." "It's a game which ties meaningful choice to relatable situations in a way that packs a powerful emotional punch." "When all is said and done, after the ending you’ve chosen, the last unspoken question is the most important one of all: are you okay with how Dan ended up? If not, what needs to change for him? For you?" Included as a preorder bonus, for sale at kenthudson.bandcamp.com .